In a world where the crossover is king, there is still a solid market for reliable, safe, and well-equipped midsize sedans. These sensible family vehicles are part of a longstanding automotive class that features many worthy options. If you’re looking for one that gives you all the practical elements midsize sedans are known for – safety, efficiency, space, features – at an exceptionally affordable price point, turn to a brand known for loading up its vehicles with amazing value: Kia. The 2019 Kia Optima deserves a prominent place on your list of must-see vehicles as you search for your perfect midsize car. In fact, once you’ve had a chance to explore everything that this car has to offer and the inherent value it entails, there’s a good chance this is the car you’ll want to drive home! Even the base model gives you more than what you might expect out of a base trim, including Apple CarPlay and Android Auto integration, Bluetooth®*, and an 8-inch infotainment system. As you move up the trim ladder, there’s even more to love about the Optima’s offerings. The top-tier SX model even gives you luxurious features like premium leather seating and enhanced audio options. With that kind of value, you can already expect to get a whole lot for your money when you choose the 2019 Kia Optima. 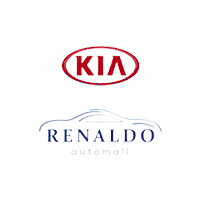 When you buy yours from Renaldo Kia, you can expect even more remarkable savings. That’s because we price all of our vehicles competitively from the start and then offer a slew of specials and other savings that will make your Optima more affordable than you ever thought possible! So, bring your search for the perfect midsize car to a happy ending when you visit Renaldo Kia and test drive your favorite Kia Optima trim. You’ll love the car itself as much as you love the savings in store at our Shelby, NC dealership. Sure, the Kia Optima features a budget-friendly price tag, but that only makes the quality of its interior even more remarkable. The cabin is decked out with premium, soft-touch materials and has a clean, streamlined design that makes the Optima’s interior feel refined and luxurious. All Optima occupants can stretch out and relax in the comfortable and roomy seats and enjoy the wealth of technology features that enhance every drive. Apple CarPlay, Android Auto, Bluetooth®* connectivity, a Wi-Fi hotspot, a premium audio system, and an extensive selection of advanced safety equipment are all either standard or available in the Optima, keeping everyone connected, protected, and entertained throughout every journey. Why Buy or Lease from Renaldo Kia? Renaldo Kia is your source for amazing deals on new Kia models and used vehicles in and around Charlotte, Grover, and Lattimore, NC. All of the vehicles we have in stock – including the amazingly value-loaded Kia Optima – are priced to sell quickly, and beyond those savings we offer other special offers and incentives to ensure you’re getting a deal you won’t want to pass up! Explore our inventory online and then stop by our Shelby dealership when you’re ready to test drive your top picks and find out how much you can save! *Bluetooth® word mark and logos are registered trademarks owned by Bluetooth SIG, Inc. and any use of such marks by Kia is under license. A compatible Bluetooth®-enabled phone must first be paired. Phone performance depends on software, coverage and carrier.